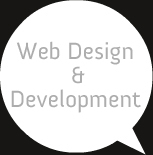 Web design influences both the customer experience and the search engine experience visiting your site. Try to make the visit worthwhile for both visitors (human and bot). Should you choose to use our Online Advertising web design Services for your site we will provide you with any and all design elements for an online advertising campaign. We will create banners for your website, small and full page ads for email campaigns, popup consoles for your contextual marketing efforts, and any other advertising graphic requirements that suit your online advertising needs. Any and all graphic pages or banners that we create for your website will remain your property now and in the future. You own the rights to all the graphic material that we produce for you. We hope that you agree that our web design and graphic materials help you promote your products and services to the World Wide Web.